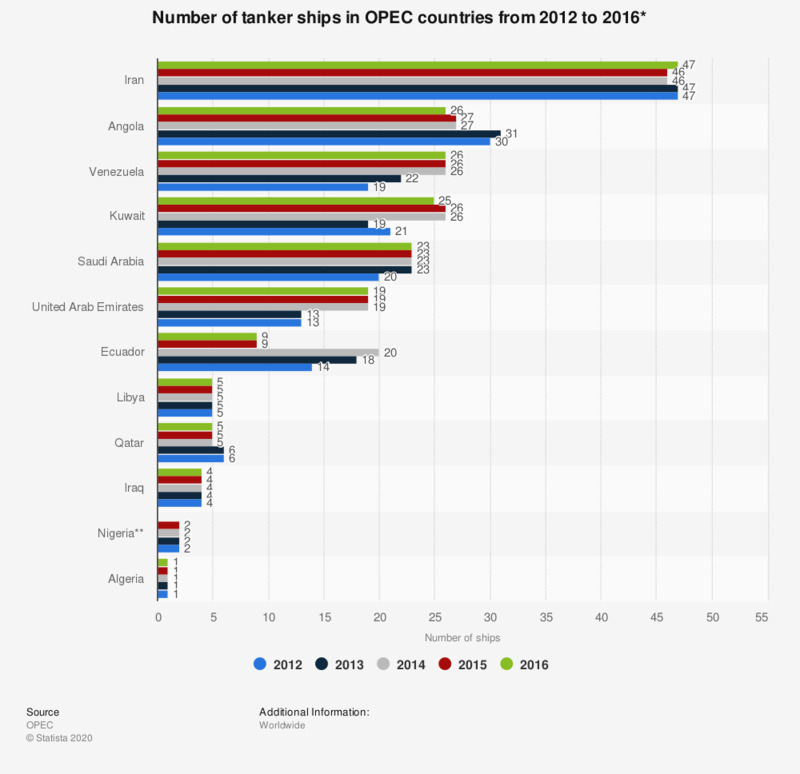 This statistic depicts the number of tanker ships owned by OPEC countries from 2012 to 2016. As at year-end 2016, Saudi Arabia had a tanker fleet that consisted of 23 tanker ships. Thus, Saudi Arabia ranked sixth among the OPEC member states in that year. * Figures as at year-end. Including crude oil, petroleum and chemical carriers.